Your membership renewal date will be: 01 May 2020 No automatically recurring payments Annual membership fee for 2019. Valid May 1, 2019 till Apr. 30, 2020. Prorated membership fee applies for new members after July 31. Your membership renewal date will be: 01 May 2020 No automatically recurring payments Family memberships are offered to spouses and single parents, their children, and their grandchldren, up to a maximum of 6 family members. One family member is responsible for setting up all their family members. South Niagara Canoe Club has introduced a Family Membership. You can upgrade your current membership at any time. The annual membership fee for the 2019 season is $95.00. 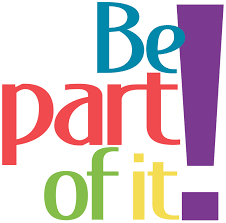 This is to be paid once per year and entitles the member to register and participate in our member programs and allows each member voting privileges at the club annual general meeting. To register as a member, choose the membership level above and click NEXT, you will be taken to our online registration form, once you complete the membership registration form you will then be taken to our annual membership payment page. Once you paid and your membership has been approved, you will then be able to register and pay for member programs. Please note the annual membership fee only needs to be paid once per year. Annual Membership runs from May 1, 2018 - April 30, 2019.